Вилла Samakee это рай для гостей, которые хотят отстраниться от внешенего мира. Можно почувствовать кусочек рая на вилле Samakee, которая находится в безопасной местности Layan. Обстановка придает ощущение мира, спокойствия и уединения, но в тоже время от сюда легко добраться до ресторанов и торговых развлекательных центров Пхукета. На Вилле Samakee 5 хорошо оборудованных спальних комнат. В главной и второй спальнях кровать King size, есть ванные комнаты, а так же отличный вид на бассейн. В 3х других комнатах 2 раздельные кровати с видом на сад и в каждой имеется ванная комната. Гостиная с деревянным потолком очень просторная. На вилле есть домашний кинотеатр, который подходит как для детей, так и для взрослых. Столовая оснащена большим столом прямо на против кухни. За столом может уместиться 16 человек. Это идеальное место для вечеринок и встреч. Villa Samakee was a wonderful place for our family to have a relaxing holiday. The villa was comfortable and elegant but what really made the difference was the terrific villa staff, including the chef who turned out amazing meals. Making a great holiday here absolutely wonderful!! Amazing house and grounds surrounded by the best beaches, restaurants and golf/spa options... I am certain we will be back in the not too distant future! We will miss the big smiles greeting us every morning!! Huge thanks. Thank you so much for the great hospitality. All your hard work is flawless and has made our seven day trip so unforgettable and complete. We will definitely miss here and will definitely come back here again. We look forward to seeing you all again soon. Our best decision was to choose Phuket for our family gathering with our daughters who live in Asia, while we live in Columbia. Our best choice was picking villa Samakee where we spent a wonderful week. Thanks to our daughters Valeria & Juona, to our son-in-law Christian and to our granddaughter Elena for giving us the opportunity to experience this unforgettable dream. Thanks to the loving and caring Samakee team for making this a truly memorable holiday! Thanks god for his generosity in allowing us to have this time in such a beautiful place. If you are reading this then you already know you are in for a treat from start to finish. My family and I don’t want to leave the villa. All the staff and all four ladies are SUPER!! You feel totally at home the minute you arrive and we’ve come to realise just how special our stay at Villa Samakee has been. Villa 100%, staff 150%, enjoyment 200%. A Nice staff(s) and Chef during our stay, quiet around the villa, we had a relaxing and wonderful holiday at Samakee villa in Phuket. You won't feel bored even staying all the day in the villa, highly recommend! Favourite activity: Private Chef and Nice staff/Manager, very comfortable for staying in the villa. 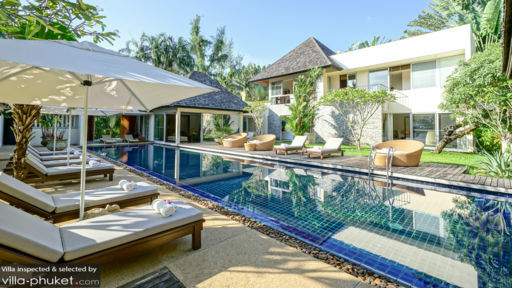 © 2019 Villa-Phuket.com. Звоните нам на Таиланде: +66 60 003 5911 / Австралия: 1300 014 384 или +61 2 9191 7419 / Сингапур +65 6871 8993.